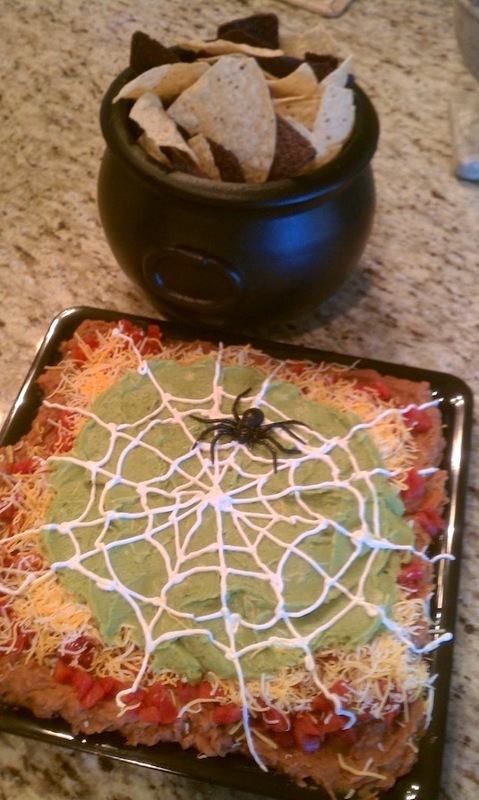 The BEST Halloween party dip! Who doesn’t love a bunch of yummy layers topped with a sour cream spider web?? Serve this party dish with a side of tortilla chips and you’re set. 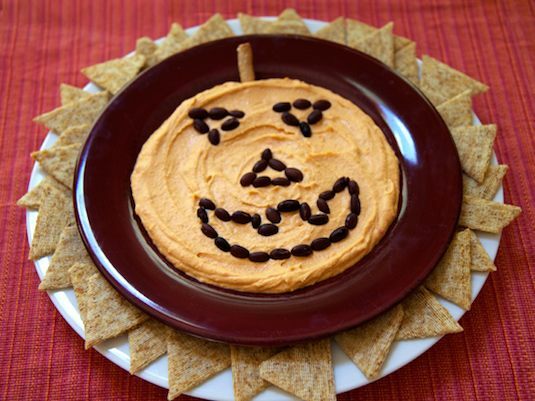 This Halloween inspired party dish is made with a roasted red pepper hummus (for the orange hue), and black beans or olives for the jack o’ lantern face. Serve it with crackers, chips, or veggies! I would use a celery stick for the stem, too. 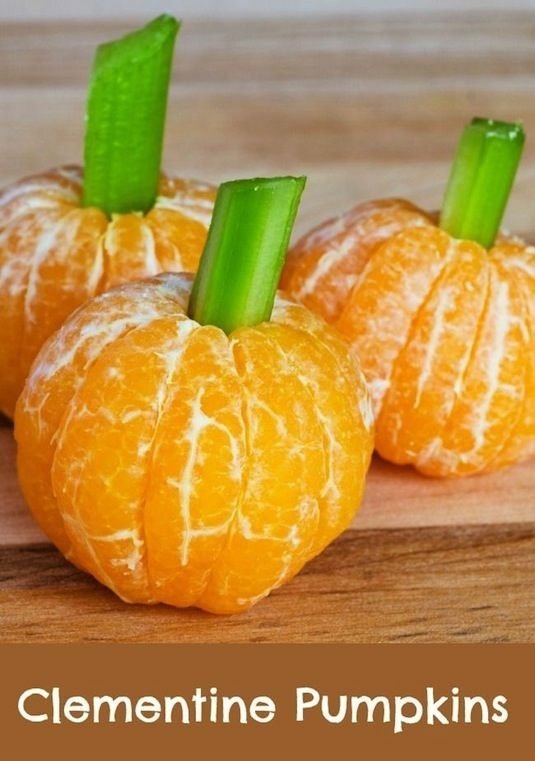 It’s amazing how such a small detail can turn an ordinary clementine into such a fun Halloween snack for kids! It will also dress up a fruit tray quite nicely.